You can join the Kwan Um School of Zen as a member and receive retreat discounts, Primary Point magazine, the School newsletter and other materials. Membership is an important step that will help both your own practice and also the Zen center or group you practice with. As a member you are qualified for discounts on retreats and programs at your Zen center and other Zen centers of the Kwan Um School. Membership provides various opportunities for practice and together action with the Kwan Um sangha and Zen centers internationally. Membership rates vary in different countries. If you have any questions concerning membership, please email us. 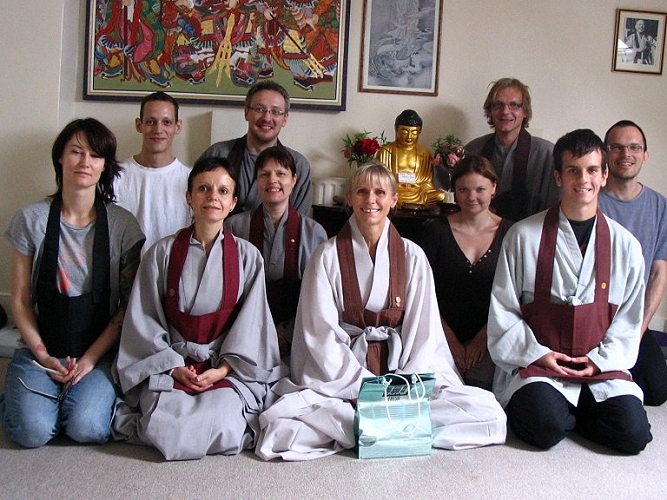 There will be a group leader, abbot or other senior student, such as a Kwan Um dharma teacher, who will be able to introduce you to the practice forms, to other members of the group, and to your guiding teacher, who is the Zen Master or Dharma Master with teaching responsibility for the group. If you live in a country that has an active national sangha of the Kwan Um School, it is a good idea to contact your nearest Zen center or group or your national head temple, even if this is not nearby or in your home town. They will put you in touch with one or more of the guiding teachers with responsibility for your country. 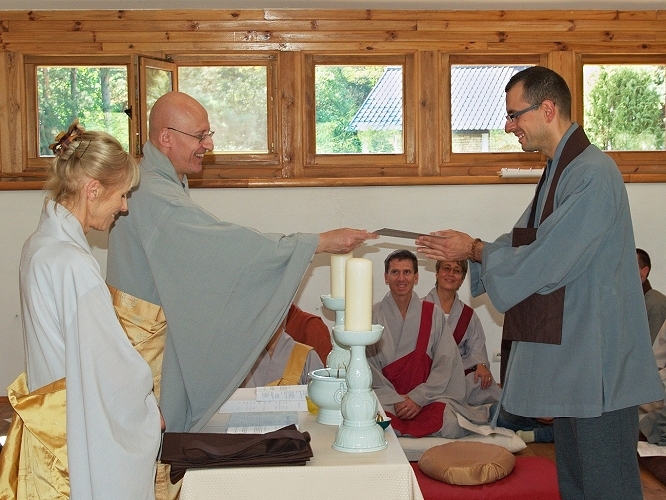 The guiding teacher and the abbots / senior dharma teachers in your country will be keen and willing to help you find the way to start and to continue your Zen practice and join fully in the life and activity of the European school. Wherever you live, you can join the Kwan Um School of Zen and practice in our tradition following the teaching of Zen Master Seung Sahn. If you live in country that has no Kwan Um sangha at present, contact us using one of the forms available on this website and explain your situation. Your message will be fast-tracked to the teachers (Zen Masters and Dharma Masters of KUSZ Europe) and most likely one of them will immediately be appointed to help you and become the guiding teacher for your country. They will be able to help and guide you at every level – practically, organisationally, spiritually – to assist you in your Zen practice and interaction with the school. You will not be isolated for long. You will become part of the European Kwan Um Zen family, and in due course will meet many of the members from other countries. As a member of the school, you will qualify for discounts at KUSZ retreats. More importantly, this is a key way of advancing your practice, helping others, and joining in the spiritual life of the school – what Zen Master Seung Sahn called “together action”. 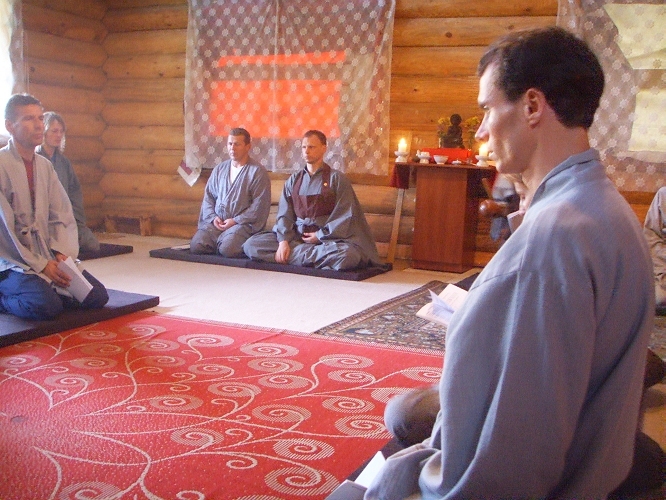 If you are part of an active local KUSZ group, they may organise Zen retreats locally from time to time. This is convenient, easy, and a great example of “together action”. Join in as much as you can: many of us remember our first Zen retreat as a wonderful, life-changing experience, and you may discover this too. If you are an isolated member with no supporting Zen group in your town or region, going on retreat is just as important for you. Look carefully on this site for the longer retreats – a week at least, up to a 90-day Kyol Che – that you can travel to and join in, usually for a week or more. There are a number of such retreats in both the summer and winter seasons. If you can find one or two coming retreats that are convenient for you to travel to, this will be time well spent that you will never regret. Anyone committed to the Kwan Um Zen practice tradition can take the five precepts with our school after attending one of more of our retreats. These precepts are the first five of many precepts laid down by the Buddha Shakyamuni 2600 years go for the guidance of the sangha and individual monks and practitioners. In countries with a Buddhist religious tradition, children from Buddhist families will often take the five precepts at a young age. 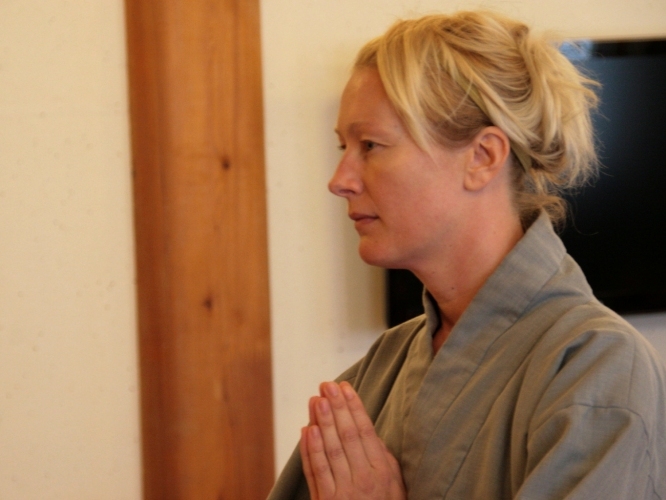 In the west, every Zen school and Buddhist tradition offers the ceremony as a way for western people, usually as adults, to declare their commitment to the Buddha Way, the dharma and the sangha. The five precepts are not specific to one school. After joining the school and/or attending your first retreat, you may wish to consider taking the five precepts. Discuss this with your guiding teacher, group leader, abbot or a dharma teacher in your group. They will advise you according to your needs.